There are likely a lot of situations both in your professional and personal life you’ll find yourself in where being able to understand a business is important. Maybe a friend is excited about their new job and you aren’t really familiar with the industry. Perhaps you’re looking at investing in a new venture. Or maybe you’re meeting with a new prospective customer and you simply want to understand their business a little better. To understand a business, you usually have to do more than just ask someone to tell you about their business. People are notoriously bad at explaining what it is they do and their explanation is usually driven by their specific role in the company. I’ve developed a few questions that you can ask almost anyone, and if you get a half-decent answer, you will probably know more than the average employee about what the business really does. Being in a business development role, I have the opportunity of meeting with new businesses on a fairly regular basis. Understanding my clients’ businesses is extremely important in enabling me to help them develop a marketing strategy. If it seems unnecessary in your job to need to understand your customers’ businesses, you are WRONG. A commercial banker might say: “I just look at the financial statements – that tells me everything I need to know” – WRONG! A manufacturer might say: “The orders come in, and I deliver exactly what they need, on time and on budget” – DOUBLE WRONG!! At the very minimum, showing a level of understanding beyond the specifics of ongoing projects will endear you to your customers. But more importantly, only through really understanding someone’s business are you in a position to add value beyond the project at hand. You can now use that information to suggest improvements or alternatives in the products and services you provide to them. You move from “order taker” to “partner”. This is what makes you a valued and irreplaceable vendor to your customers. And in a discussion with a prospect, it will make you look like an expert right out of the gate. 1 – How do you make money? Seems obvious… but it goes a level deeper. 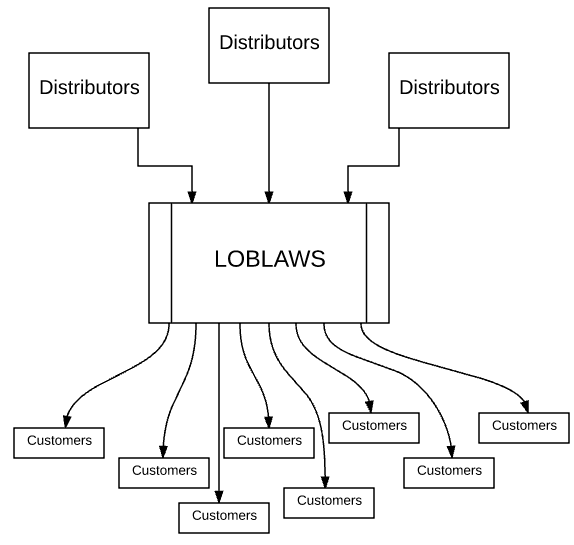 Loblaws makes money selling groceries, yes… but a more accurate description would be; they source products from distributors and buy at volume discounts, organize the items in their store to make it easy and convenient for shoppers. They make a small amount of money on every item they sell and since they sell millions of items, this adds up to a lot. Already, there’s a lot more to think about when considering opportunities. 2 – Who are your customers? Again, these questions aren’t rocket science… but understanding the different target customer groups is critical. “Everyone” is probably the most common answer, but also probably the most useless answer. “People who want ____” is probably the next most common (and useless) answer. OBVIOUSLY you want to sell to people who want your product/service… but where can you find those people? How old are they? What are their interests and spending habits? Do they have families? It’s fine to start with “people who want a new barbeque”… but only use this as a starting point for defining the user group. You want to get to an objective definition of what makes them different and unique because when you have that, you can start thinking of what else is important to them, where else you can find them, and how else you can reach them. IMPORTANT NOTE: When you’re learning about a business… keep the discussion to questions - keep opportunities and ideas for another time. Otherwise, you’ll end up going in a lot of different directions that ultimately lead nowhere. You don’t know the business yet, so you’re not qualified to make a recommendation/suggestion. This “blue ocean” discussion can happen later when you are prepared to add value to it. 3 – What is your unique competitive advantage? This is probably the toughest one… although you’d think it shouldn’t be. People are often confused about what their competitive advantage really is. You’ll hear a lot of “great customer service” or “always on time”, or “best quality”. These things are important and are usually necessary for success but not sufficient for success. Companies without a *unique* competitive advantage are likely struggling or soon will be. 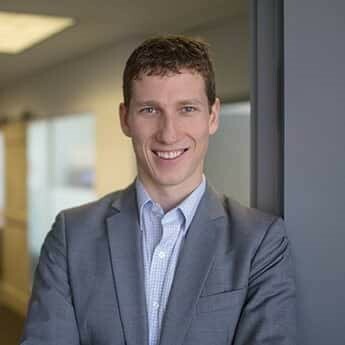 Most companies start with a unique product or service offering but if they don’t continuously innovate, they find competitors quickly replicating them, removing the company’s former ‘uniqueness’. But that’s a whole different discussion. Identifying and understanding why customers would choose one company over another is one of the most important things you can learn about a business. Is this competitive advantage sustainable? Can you see signs of it being encroached upon by competitors or even other industries? Is it being marketed? Are they taking full advantage of it? This is just the beginning of understanding a business. Depending on your profession, you’ll probably need to ask a lot more specific questions to get the information you need… and you’re probably doing that already. So keep asking those questions, but add these to your list and believe me… it will add a lot of depth to your discussion and greatly improve your ability to add value.